You’re swiping through pictures on the dating site, sitting across from your date at dinner, or taking a good, long look at your new flame. There are some physical traits you enjoy and other physical traits you’re a bit ‘meh’ about. Everyone’s a package deal. No one’s perfect. 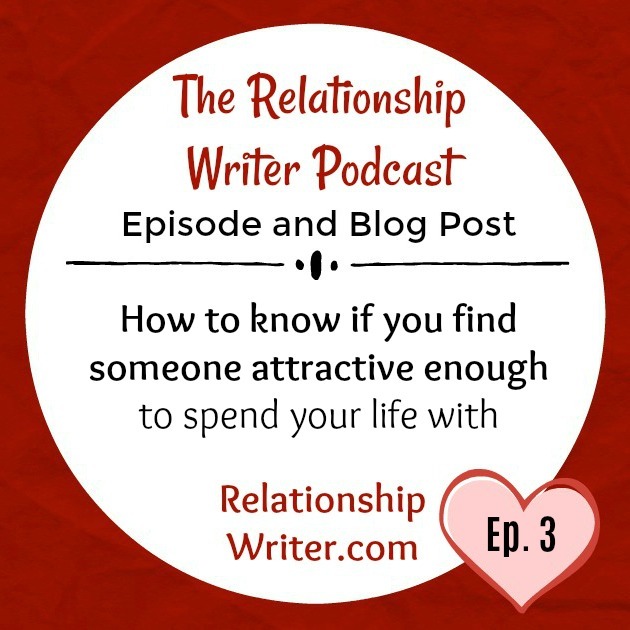 So, how do you know if you find someone attractive enough to spend your life with? That’s the question I’m going to help you answer in this episode. Today, I’m going to teach you how to know if you find someone attractive enough to spend your life with. And I’m going to use a little analogy I came up with that I call ‘The Couch Test’. But we’ll get to that a little later. Now, I can already hear you gritting your teeth and cringing. Because attractiveness is a delicate topic, isn’t it. No one enjoys being judged on their looks, and no one enjoys having to judge someone on their looks. But the reality is physical attraction is a big part of dating and relationships. Not the most important part – not even close. But definitely a part. So, it’s important we know how to manage it so that we don’t judge our way out of the relationship of our dreams by focussing too much on looks or, on the flip side, try to build a relationship with someone we don’t find attractive. 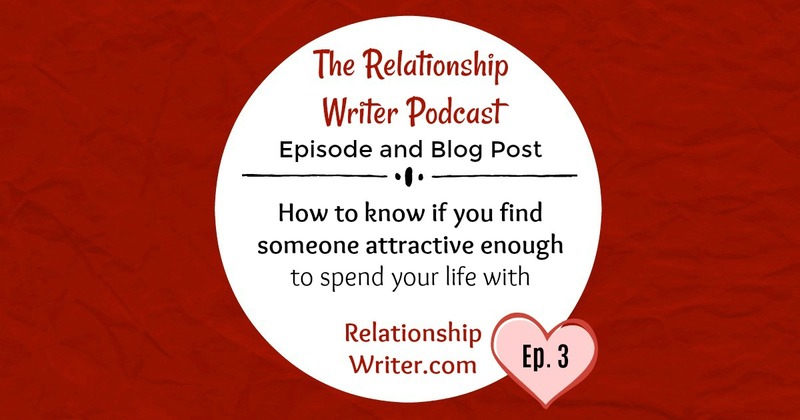 Now, here’s what makes this so tricky… How physically attractive you find someone will seem a lot more important in the first three months of dating than it will over the next 30 years of a relationship or marriage. Because within the first three months, the attraction is very superficial. You don’t know the person yet. And you don’t have any history with them. You’re standing back and looking very objectively at them and thinking, ‘Are these the eyes I want to look into for the rest of my life? Is this the face I want to look at for the rest of my life? Is this the body I want to be up close and personal with for the rest of my life?’ Some pretty heavy questions there! And these are all very normal thoughts and feelings to have. But once you’re well and truly in the relationship, and you not only have a lover but a best friend and a life partner who’s there for you in big and little ways day in and day out and makes you consistently happy, I can guarantee you won’t notice their looks so much anymore. And this works both ways in that if you started out luke-warm about their appearance, you’ll find them more attractive over time because you love them. And if you started out quite hot for their appearance, you’ll probably still find them attractive over time, which is nice (I’m not going to lie), but it won’t have the same buzz. So, either way, you end up in pretty much the same place in that you just won’t care about their looks as much as you did in the beginning. You won’t think about it over years and decades the way you did in the first three months. Now, let me just take a moment to make the important distinction between good looks and chemistry. You can find someone good looking and have no chemistry with them. And you can find someone average looking and have great chemistry with them. You don’t need to find your partner objectively good looking, but you do need to have chemistry with them. Not off-the-charts chemistry. But a decent amount of chemistry is important. Because a fulfilling relationship includes intimacy. And if you have no desire to be physically close to your partner, all you really have is a friendship. And friendships are great, but they’re not the same as intimate relationships. So, unfortunately, the first three months of dating is when most of the attractiveness assessing will take place. And it’s a bit like going shopping for a new couch. Let’s say you need a new couch, and you have the kind of couch you want in mind. You know what size you’d like it to be, what colour you’d like it to be, and what style you’d like it to be. But you also know it needs to be comfortable because you’re going to be using it a lot, especially if you’re addicted to Netflix like I am. This couch is going to be a big part of your life. So, you go to the furniture store and start looking at couches and sitting on couches and trying to imagine the various couches in your living room and so on. The trouble is you can’t seem to get the style and comfort to match up. You see couches you think would look fabulous in your living room, but they’re not as comfortable as you’d like. And you sit on some really comfy couches, but they’re not quite the style you had in mind. So, what do you do? Well, let me tell you. As long as you don’t absolutely hate the look of it, you pick the comfortable couch. And here’s why. Because, over time, you’ll be much, much happier with the comfortable couch than the stylish couch. Style Vs comfort: What percentage do you need of each? Just imagine how your two options might play out. Option 1 is you pick the couch that’s a 10/10 in comfort and a 7/10 in style. You have it delivered, you set it up in your living room, and within a matter of weeks you don’t even really notice how it looks anymore. All you know is you love coming home to your comfy couch – having a cup of tea, watching your favourite show, reading a book, surfing the Net… whatever it may be. Now, imagine Option 2. You pick the couch that’s a 10/10 in style and a 7/10 in comfort. You have it delivered, you set it up in your living room, and within a matter of weeks you don’t even really notice how it looks anymore, but you do notice that it’s not comfortable. You can’t escape the fact that you don’t enjoy coming home to it, you don’t enjoy sitting on it, and it doesn’t make you happy. Bah-bow. Now, let’s bring this back to dating and relationships and how to know if you find someone attractive enough to spend your life with. The person who will make you the happiest over time is the person who’s like the comfortable couch – the couch that’s a 10/10 in comfort and a 7/10 in style. It’s the person you find attractive, although perhaps not incredibly attractive, but who you always love coming home to, who provides you with an immense amount of comfort, and who consistently makes you happy. Never go for the person who’s like the couch that’s a 10/10 in style and a 7/10 in comfort because, over time, you won’t notice their good looks so much anymore, but you WILL notice the lack of comfort you feel in the relationship and the fact that you’re just not particularly happy. Now, I know what you’re thinking. I can read your clever minds. You want to say, ‘But Elly, why can’t I have a couch that’s a 10/10 in comfort AND a 10/10 in style.’ What a good question! And my answer is you can, in theory. But the reality is you’d have to get really, really lucky. And how much do you want to roll the dice? That’s the question you need to ask yourself. If we stick to the couch-shopping analogy, that’d be like walking out of every furniture store because you haven’t found a couch that’s a 10/10 in both style and comfort, and choosing to continue your quest for the perfect couch indefinitely rather than compromising, getting your lovely couch home and into your living room and getting on with your life. How much more time are you willing to spend looking for the perfect couch that you may or may not find? Months? Years? Decades? Because even if you found it, it’s unlikely that the extra 3/10 in style would be worth it. It’s a bit like that saying, ‘A bird in the hand is worth two in the bush.’ The great couch or partner you can have now is worth more than the perfect partner you can have later, much later, or perhaps never. So, that’s how to know if you find someone attractive enough to spend your life with. You apply ‘The Couch Test’. Try not to judge their appearance too harshly in the beginning. As long as you find them reasonably attractive and have chemistry with them, the far more important metric is how happy they make you. And if they turn out to be a 7/10 (or above) in style and a 10/10 in comfort, you just might have found the relationship of your dreams. 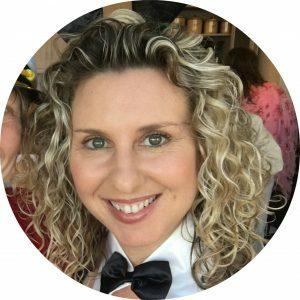 If you want to let me know what you think of ‘The Couch Test’, or you’d like to ask me a question, you can follow me on Facebook and Instagram or email me through my website, RelationshipWriter.com. And if you’re officially over being single, as I’m sure many of you are, you might be interested in working with me. 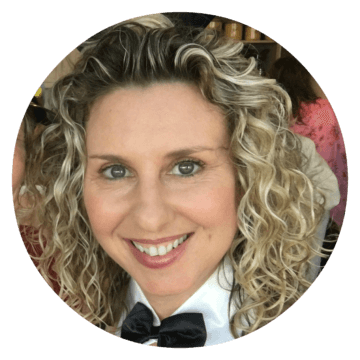 Because while all this information is helpful (at least, I sure hope it is – that’s why I do the podcast), there’s a difference between information and transformation. Listening to this advice isn’t the same as applying it to your life. If we work together, I’ll start by writing you a swoon-worthy online dating profile, and over three months, I’ll be like your dating bestie. I’ll hold your hand every step of the way and help guide you into the relationship of your dreams.